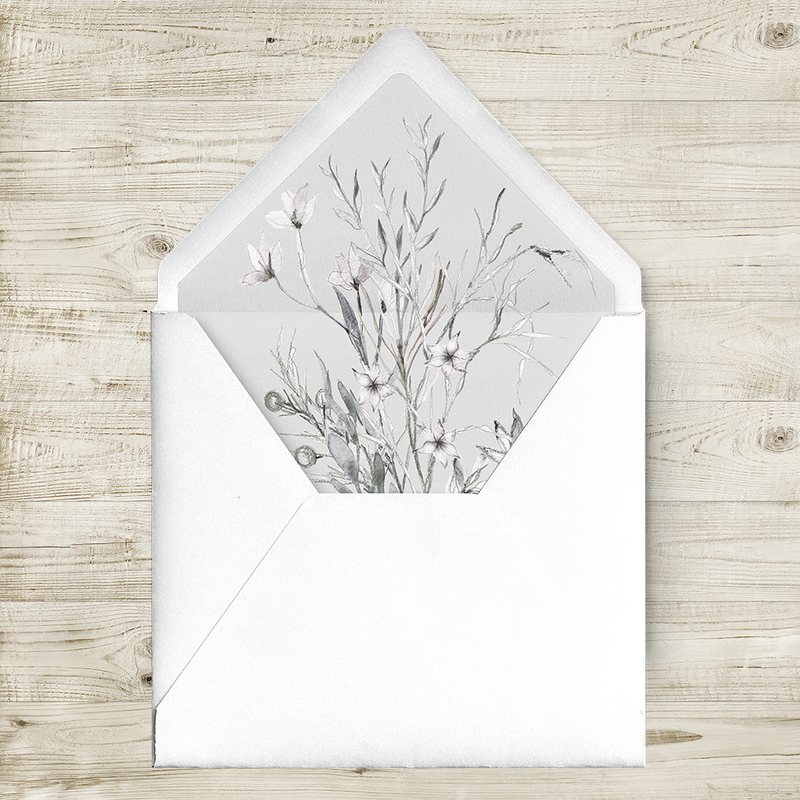 Wedding stationery set with a pale grey floral theme. Soft and delicate grey gives a stunning but neutral feel to the suite, finished off and held together with a trendy semi-transparent vellum belly band. This set is beautifully printed on 280gsm fine nettuno art cardstock with a vellum bellyband.